Looking at these jeans from Moschino you would in no way think that they are something that belongs in my wardrobe. They probably were made to be worn by those who dress in a more punk or street style kind of way and never were intended to be worn with a structured blazer, knit tie and suede loafers. I know it’s different but I kind of like it, actually I really like it. This is also the first time that I got to show a piece from the Alexander Wang x H&M collection that was released in November of 2014. I'm sure many of you picked up some cool pieces and then just forgot about them. Well that happened to me too. As a matter a fact this is the first time I'm wearing one of the 6 pieces that I purchased. I guess all the hype got to me as it does ever year when H&M has a guest designer. But I actually thought the collection was pretty solid and this leather backpack is definitely a keeper. Wha a cool combo Justin! 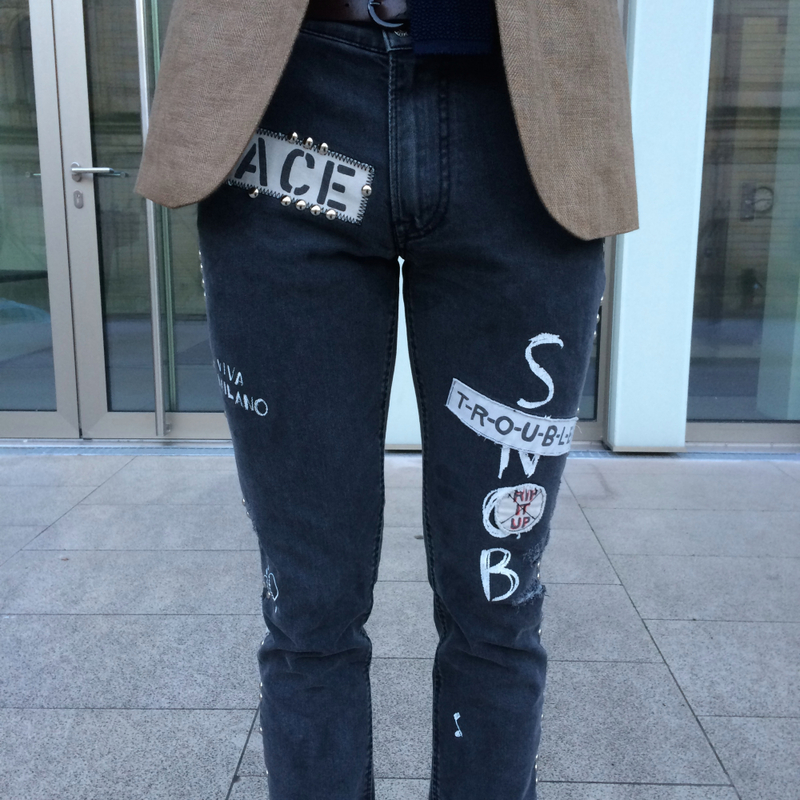 The blazer looks so cool with these patched jeans! Such amazing outfit !! Love the shoes ! So cool Justin! You have a great style! 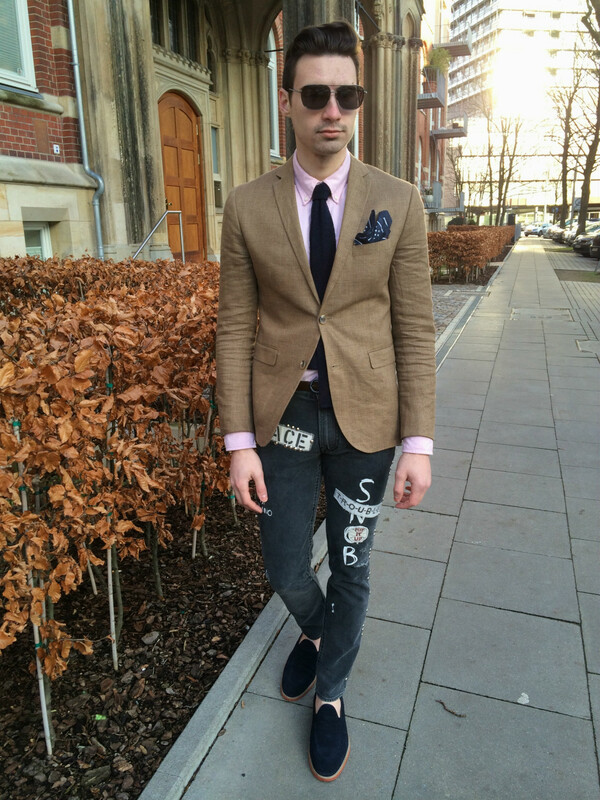 Great combo, I love your style!! Those jeans are just amazing! And of course the Marc Jacobs sunglasses are fab! you're right! never thought those jeans would look good with a structured blazer and tie but they do :) I love how you put so much thought into the details of your outfit. 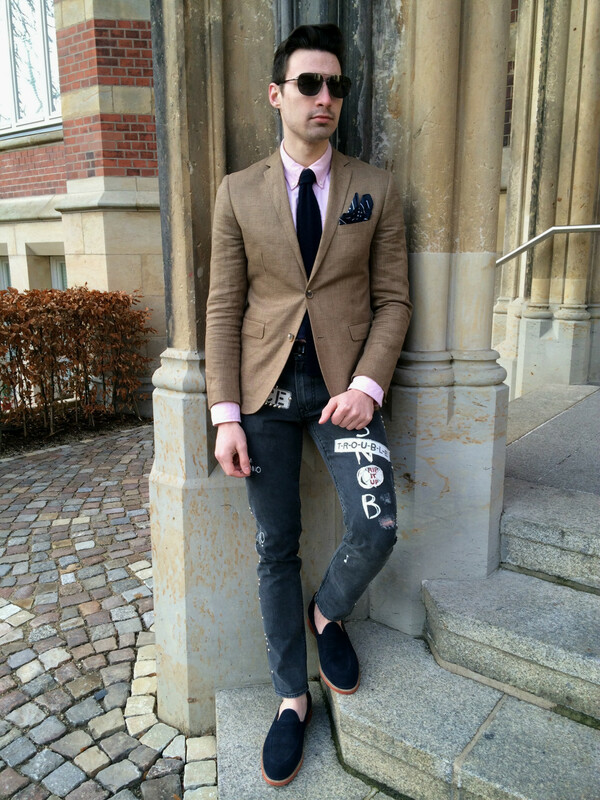 Never thought that classic/casual blazer will look so well with this type of "punk" jeans! You've mastered this one for sure! The jeans are amazing: love them! Definitely liking the DI vibe of the jeans with your glamorous blazer & backpack. A cool combo. excellent styling....love the contrast between the upper and the bottom part of your look, the jeans with patched and the blazer and shirt....brilliant!!!!!!!!! Those jeans are EVERYTHING!!!! Soooo cool, sooo badass! THEY ARE EVERYTHING! AND love love love your Wang bag! FAbbb styling!!! Love these pants!! 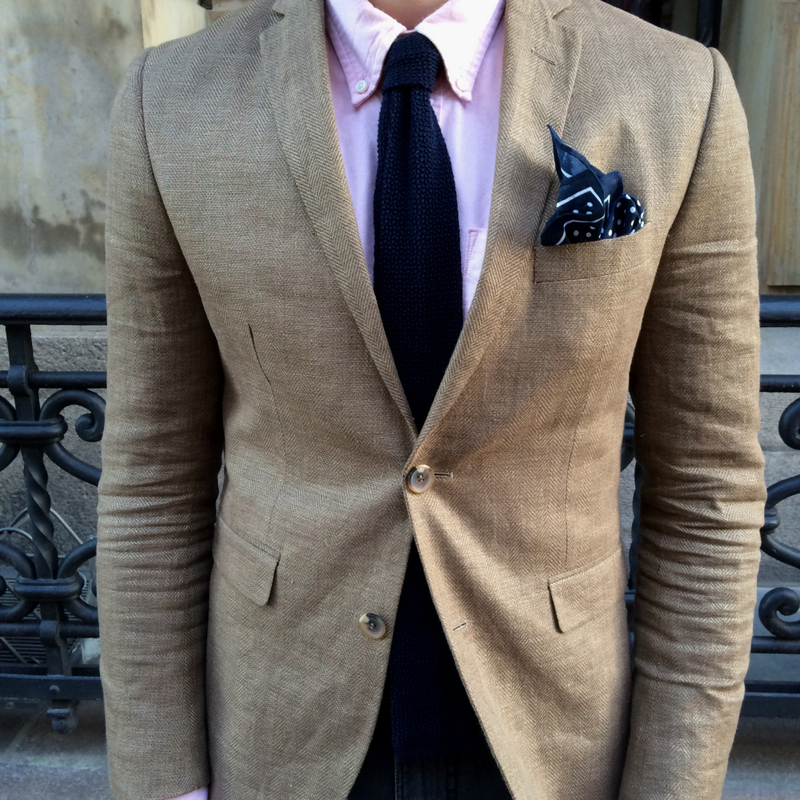 And I love how you styled it with the blazer and shirt! AMAZING! 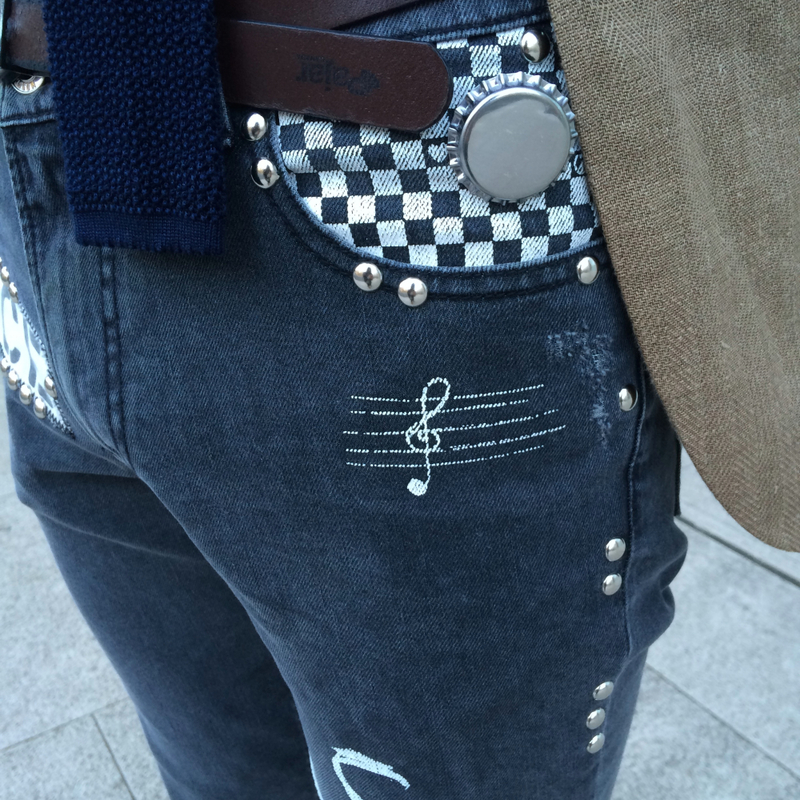 I can see why you are crazy for Moschino, because your jeans is very stylish , so cool. great choice. even though you are a new blogger, your website show your fine sense of style, i am a writer covers fashion culture, would you mind i interview u and your style through email? I wanna release a post about your story. Let me know, thanks, have a nice day dear man. 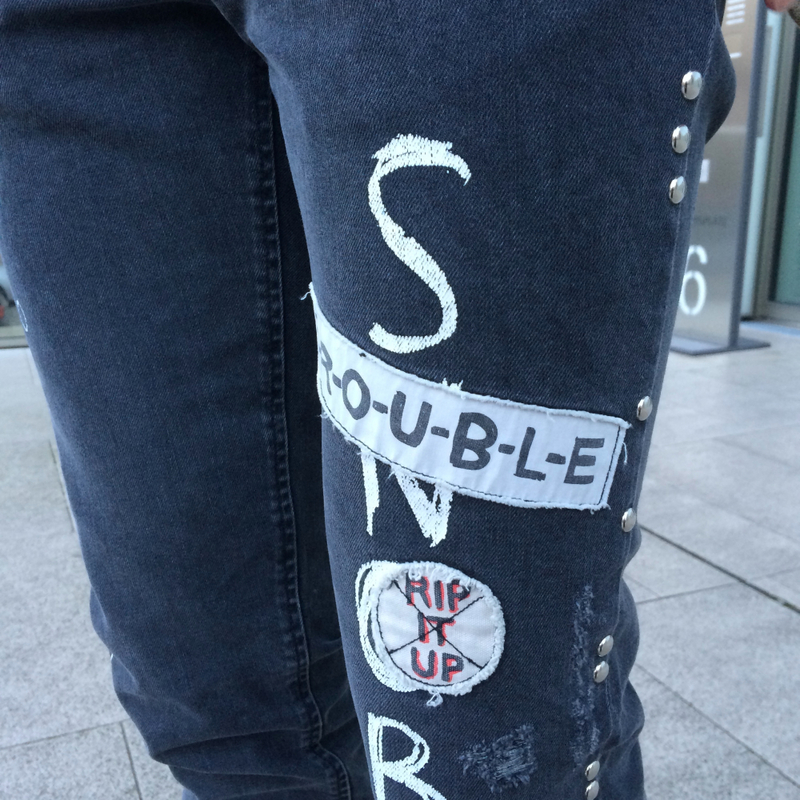 The jeans are amazing and originals! Great style! Those pants can seriously start up any conversation. They are quite interesting especially when paired with more structured pieces like loafers and blazers. Love your outfit , these photos are beautiful ! Hi Justin! I like very much this mix: cool jeans and elegant jacket!!! Your Wang bag is amazing!!! I LOVE your backpack huN! Wow you look so stylish and classy! I love those shoes, beautiful color combo! 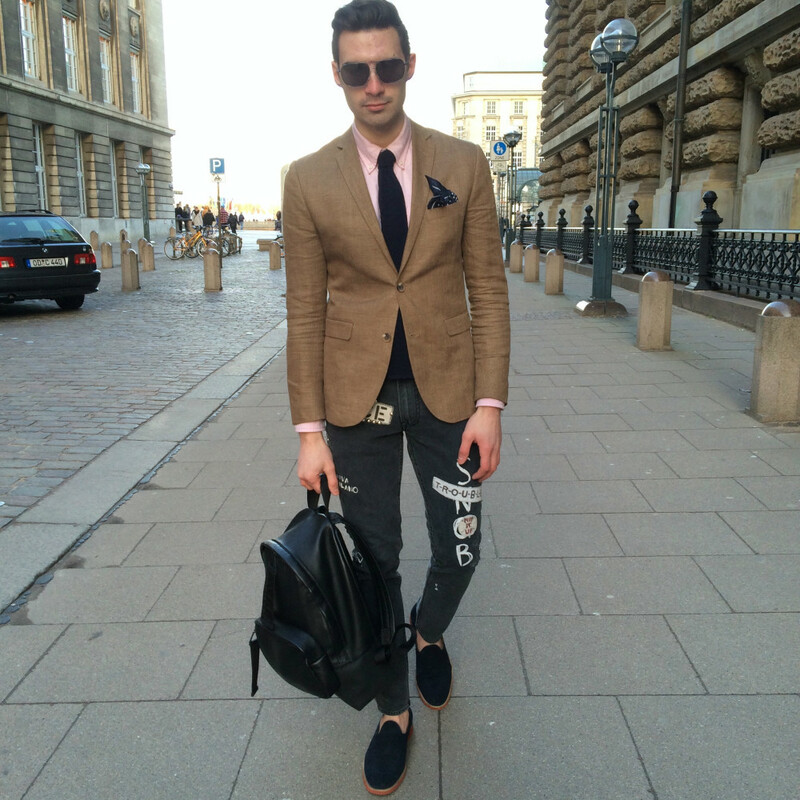 Amazing look, the pants are too cool :D Great outfit! so sad i cant get any them collection!! Cool outfit! I like so much your pants! Fabulous look. I love those jeans! So cool! Love the backpack! Great post, molto bello e molto raffinato. 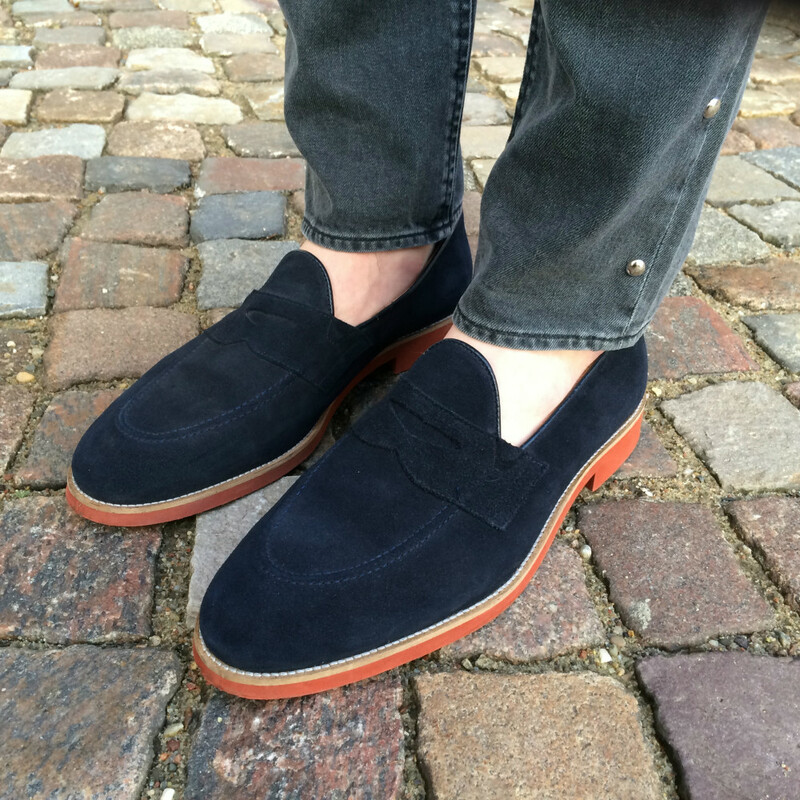 Your navy blue shoes are definitely a gorgeous pair! I didn't get anything from the Wang collection, I like how you added the backpack in this more elegant look. Such a perfect casual chic look! Great to see a well-dressed guy.